To be held at the Roma Administration Centre on 8 May 2013. (c) Council considers commencing the process to free-hold this land to enable the construction of new caravan/camping facilities. (c) Freehold the land with view to constructing new caravan & camping facilities. That Council resolve to not pursue this option based on the advice of DNRM that the development on this site would be removed after the commercial caravan park at Injune is restored to its original condition. · Publication of a Land Management Plan (LMP) for the Recreation Reserve. Option B) Option A, plus the inclusion of gravel caravan pads to allow caravans to utilise the area. · Detailed exit strategy including plan for regeneration of the site. DNRM will not allow the site to be utilised as an alternative camping/caravan area when the commercial caravan park returns to normal operational capacity. If Council does not believe that the benefits of option A or B outweigh the restrictions imposed by DNRM there is an additional option to freehold the land. Option C) Excise a portion of the reserve through the Freehold process. · Currently, it is unknown what costs would be associated with this course of action. · This course of action would restrict future development on the site. · Is Injune large enough to support four camping/caravan areas? · Maintenance & On-Costs. The minimal improvements outlined in Options A and B will not result in significant annual maintenance fees. The construction of facilities associated with Option C will attract significant up-front and ongoing expenditure. 5. Determine representing delegates attending the “CBD & Town Centre Design & Development Conference” in Sydney on 13 – 14 June 2013. This is an annual conference specifically designed for local government. It provides an opportunity for elected members to meet and discuss issues faced collectively and to develop agreed positions which can inform the development of Australian Local Government Association policies in the coming year. The Mayor, Cr. Denton and Cr. Newman have expressed an interest in attending the conference, which will be held on 16 – 19 June 2013 at the National Convention Centre in Canberra. It is now requested Council give consideration to selection of attending representing delegates. 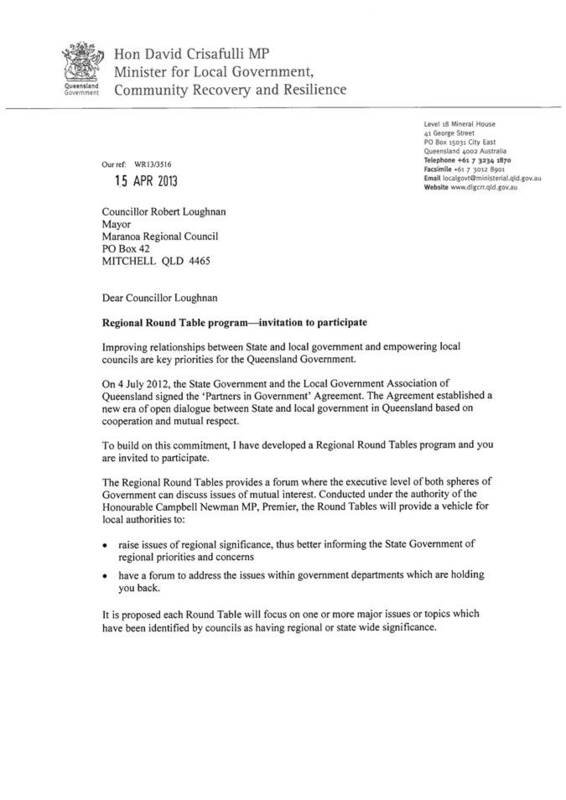 The Mayor received an invitation from the Premier of Queensland to attend a state wide summit in Mackay on 10 May 2013. The summit is the first step in the process of developing “The Queensland Plan” which will be created by Queenslanders, for Queensland. The plan will guide government and community planning activities as the state works to achieve a shared vision. Elected members play a key role in developing the plan. Due to conflicting priorities the Mayor has advised he is unable to attend and requested that Councillors give consideration to attending the Summit. Expressions of interest (EOI) were invited by the Premier, with submissions closing 11 April 2013. Cr. Newman indicated her interest in attending, and in support of this indication an EOI was returned to the Premier’s office. Endorsement of Cr. Newman’s submission of EOI is presented to Council for formalisation of the approach. The Local Government Association of Queensland and Property Council of Australia have distributed an invitation to Mayors and property industry leaders to attend this forum, which brings together representatives from local government, the property industry and state government. The forum focuses on Queensland’s fastest growing regions and the opportunities to build stronger partnerships across industry and government. The Mayor and Cr. 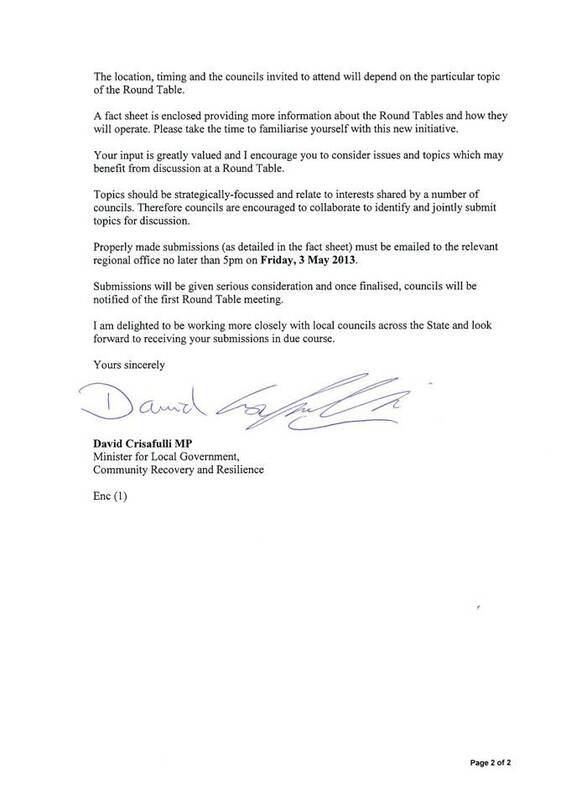 Newman have indicated an interest in attending the forum which will be held in Brisbane on 31 May 2013. It is now requested Council give consideration to selection of attending representing delegates. Council previously discussed attendance at this upcoming conference at the General Meeting on 13 February 2013, endorsing the Mayor with first refusal, followed by the Deputy Mayor or delegated Councillors. The Mayor is unable to attend due to conflicting priorities and Cr. Wason has confirmed his interest in attending. The conference is on 29 – 31 May 2013 in Brisbane. This information is now presented to Council in confirmation of Cr Wason’s availability and intention to attend. This conference program is aimed at providing practical knowledge and expert advice on how to successfully enhance and revitalise the centres of cities, suburbs and regional towns. The program features leading case studies and expert advice on how to implement successful CBD and town centre planning, urban design and infrastructure improvement initiatives. It will be held in Sydney on 19 – 20 June 2013. Cr. O’Neil and Cr. Flynn have indicated an interest in attending this conference, specifically with their involvement in formation of the Roma CBD Advisory Committee, being the two Council nominated representatives on the committee. It is now requested Council give consideration to selection of attending representing delegates. The Mayor has received an invitation to participate in a new initiative developed by the Minister for Local Government, Community Recovery and Resilience. The initiative is aimed at improving relationships between State and local government and empowering local councils as a key priority. That Council accept the Minister’s invitation to participate in the ‘“Regional Round Table Program” and give consideration to the submission of a discussion topic for the program, giving further consideration to collaborating with and/or placing a joint submission with another Council. This initiative follows the State Government and Local Government Association of Queensland signing the ‘Partners in Government’ Agreement on 4 July 2012, opening dialogue between State and local government in Queensland. The Regional Round Tables provide a forum where the executive level of both tiers of Government can discuss issues of mutual interest, and are conducted under the authority of the Premier. · Have a forum to address issues with government departments which are holding local government back. 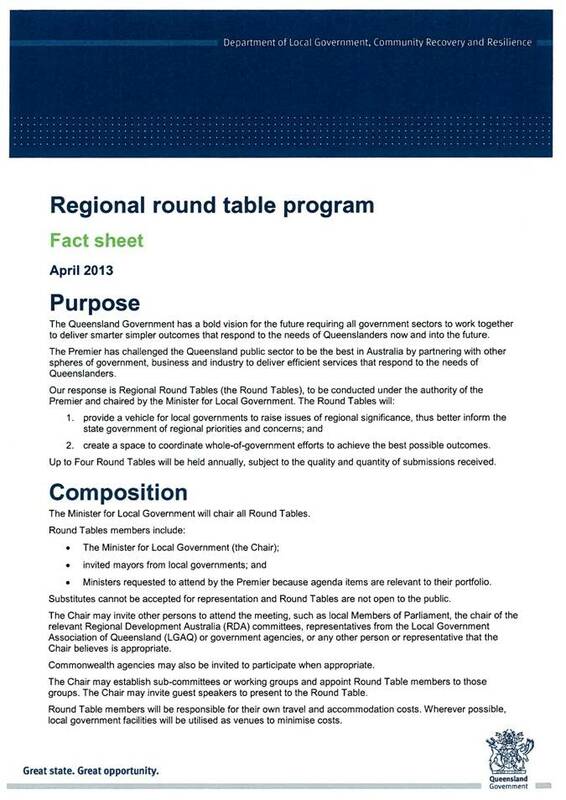 It is proposed each Round Table will focus on one or more major issues or topics which have been identified by councils as having regional or state wide significance. Submissions should be strategically focused and relate to shared interests of a number of Councils. Therefore councils are encouraged to collaborate to identify and jointly submit discussion topics. Submission closing date is 5pm Friday, 3 May 2013 and further information will be issued by the department surrounding the invitation of selected councils, location and timing for the first Round Table Meeting. 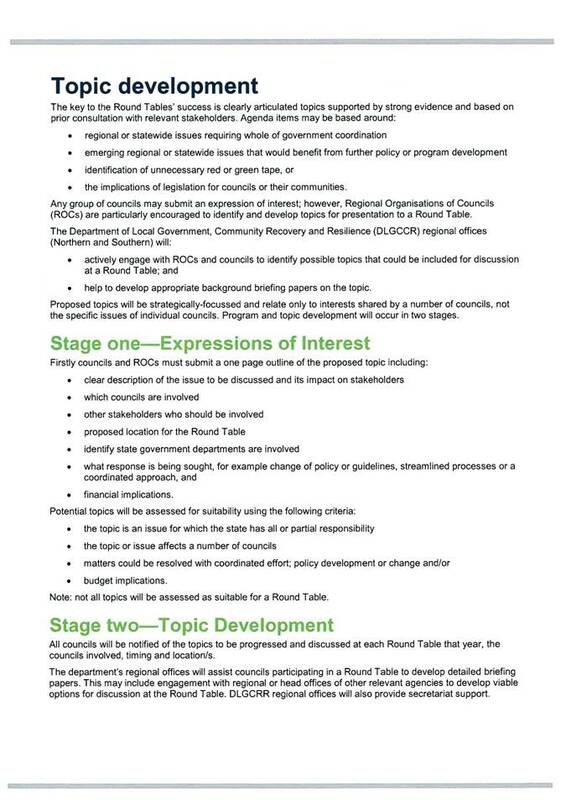 Further detail of the requirements of submitted topics is attached for Council’s review. The program provides an additional forum for Council to raise matters of regional significance and seek the support of other local government areas. Associated Travel costs for nominated delegate/s should Council be invited to participate on a selected submission. That Council accept the Deputy Premier’s offer in the terms detailed in the draft Mayoral letter. The letter follows advocacy to the Deputy Premier by Mayor Robert Loughnan, with the meeting also attended by the Chief Executive Officer. A response letter has been drafted – this will be forwarded if Council is in agreement with its contents. The proposal is consistent with Council’s policy directions – once clarification is provided with respect to affordable versus social housing (the latter limiting access/availability to only parts of our community). 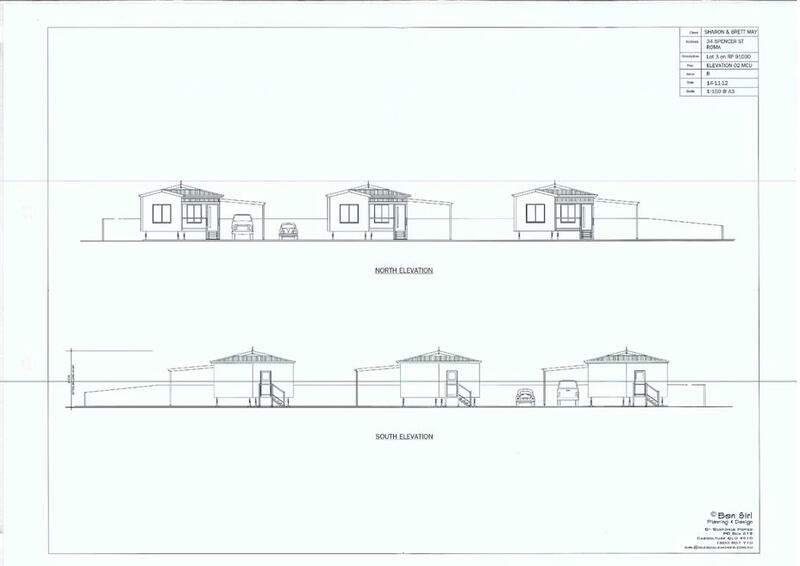 The financial consideration detailed in the letter is 3 single unit dwellings (from the development for police housing). · Properties to be sold at construction price or minimal profit (this may include land and/or a mix of house and land packages). 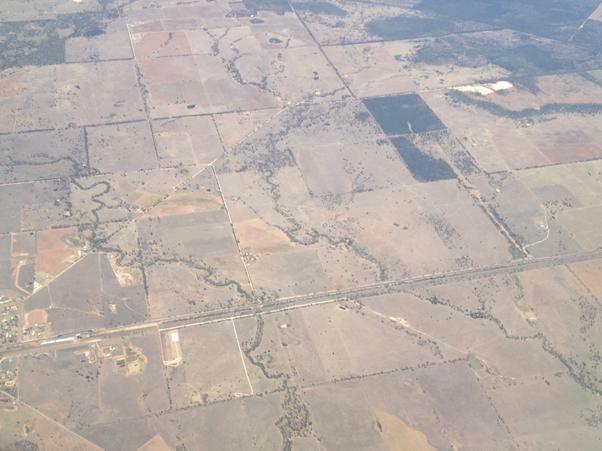 As discussed, the land (which is not flood prone) will facilitate further economic and community development in the Maranoa through the provision of affordable housing. I write to you to formally accept your offer on the basis that the land will be developed as affordable (rather than social) housing for the average wage and salary earner of the Maranoa. This is a key distinction for Council given the land’s strategic importance as a vital growth corridor for Roma. Council also remains mindful that the land is currently occupied by the Queensland Police Service (QPS) as its stock holding enclosure in Roma. We would be more than happy to work with QPS or their delegate/s to identify alternative options. Council is also open to a lease on the site for the short/medium term, as the first stage development is unlikely to require the full area. Following discussions with my fellow Councillors, we have already been in contact with Peter Smith (Director Roma UDA) Economic Development Queensland who has offered the assistance of his unit to plan and develop the site in accordance with our vision. Officers from Council are in dialogue with him about the matter at this time and we will be seeking a formal proposal for Council’s consideration. I pledge our commitment to use this land for sustainable development of the Maranoa, and to work in cooperation with your Department to facilitate the best possible outcomes. If your office would like further information regarding this matter, please contact our Chief Executive Officer, Julie Reitano on 07 4624 0602 or myself on 0427 233 776. Given the regularity of travel required for the Mayoral position, it would be beneficial if, through Qantas Club membership, the Mayor could have access to a workspace during transit to conduct meetings, make phone calls of a confidential nature and prepare for meetings while on site at Airports across Australia. Qantas link operates flights out of the Roma Airport, linking Roma directly to Brisbane and providing access to other key locations across Australia. Due to the geographical location of Roma, being approximately 5 and a half hours west of Brisbane, travel by flight offers a fast and convenient method of travel. The Mayor’s duties require he travel outside the region quite frequently in order to attend meetings, deputations and conferences. While waiting for flights, or in transfer for connecting flights, time allows for the Mayor to conduct meetings, make phone calls of a confidential nature and prepare for meetings while on site at Airports across Australia. Becoming a member of Qantas Club provides a range of benefits for frequent travelers conducting business. These benefits would be beneficial to the Mayor in conducting Council business. Individual membership is recommended for the Mayor as the most cost effective method of membership. Corporate membership requires a minimum of 10 persons at a one off cost of $370 per member to join and a further annual fee, which is subject to change, of $709.00 per member annually. This would mean a minimum total joining fee of at least $3,700 in addition to the current annual individual fee which would be a total cost of $7,099.90. Individual membership attracts a one off joining fee of $370 and (under current rates) an annual fee of $874.99. Figures are GST inclusive, totaling $1,244.99. The advantages of having work space available during transit outweighs the cost of the membership. $370 one off joining fee and an ongoing annual fee of approximately $900 per annum. The Mobile Parenting Van was an initiative of the Child Friendly Committee Roma, with the capital funding being provided by Origin. 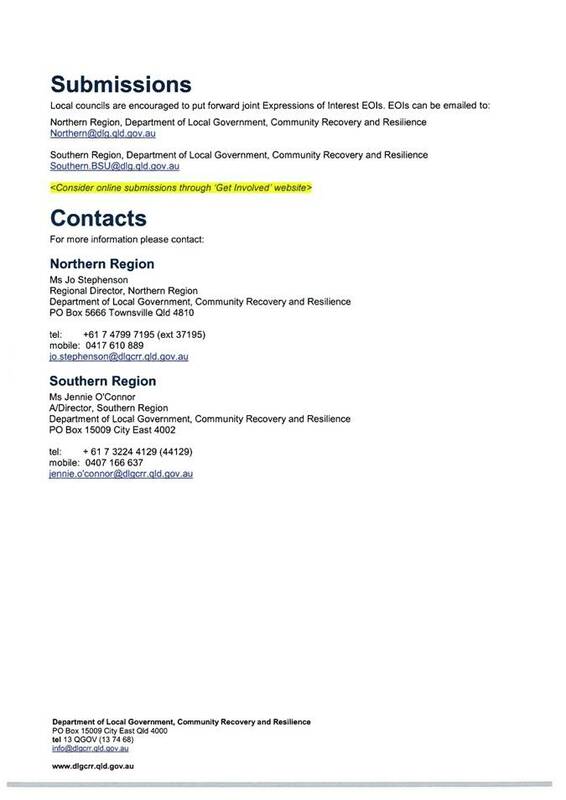 Maranoa Regional Council have committed to the ongoing assistance and maintenance of the van. A Hire Deed has been created by McInnes Wilson Lawyers to formalise the Hire Deed and responsibilities between Maranoa Regional Council and Hirer. That Council endorse the use of the Hire Deed for the Maranoa Parenting Van created by McInnes Wilson Lawyers in consultation with Council Officers. The Mobile Parenting Van is an initiative of Child Friendly Communities, Roma. The Child Friendly Communities steering committee includes representative from Queensland Health, Maranoa Regional Council, Anglicare, Local Businesses, Church Groups, education sector, parents and community members. The van was initially funded by Origin. In 2010 the Chief Executive Officer of Maranoa Regional Council approved that Council would provide ongoing assistance with the operation and maintenance of the parenting van for the Maranoa Region. The van was delivered in May 2012 and has been utilised at a number of events under the supervision of the Family Support Service. In order to provide more flexibility and to review and implement risk management strategies a Hire Deed has been completed by McInnes Wilson Lawyers in consultation with Council Officers so that the van can be utilised by community organisations/committees and that responsibilities of all parties are clearly outlined. While there is no charge associated with the hire of the van, costs will be incurred if the van is damaged or not cleaned as per the guidelines. The development of the Hire Deed outlines all parties’ responsibilities and minimises the risk to Council. The Hire Deed minimises the risks of additional financial resource implications. With the completion of the extension to the Mitchell MPHS (MPHS) imminent, consultation has occurred between Council Officers, Qld Health Officers and the Maranoa Retirement Village Auxiliary (MRVA) in regards to the transfer of non-current assets. These non-current assets will assist the transition of residents from the Maranoa Retirement Village (MRV) to the MPHS in supporting their care needs. In addition some of these items have been donated to MRV by the MRVA and Council would like to formally recognise this donation prior to transfer of non-current assets. In accordance with Division 4, section 236, 1 (b) (i) of the Local Government Regulation 2012, that Council dispose of non- current assets as per the attached schedule totalling an estimated value of $55,300. In addition to this disposal of assets the Chief Executive Officer writes to the Maranoa Retirement Village Auxiliary and acknowledges their contribution to the Maranoa Retirement Village and the donation of some of the non-current assets in the schedule for disposal to the Mitchell Multi Purpose Health Service. After an extensive review of the MRV the Maranoa Regional Council (MRC) resolved in late 2011 to decommission the MRV on completion of the Mitchell MPHS 10 bed extension. The MRC has contributed in excess of $2.6 million towards the extension of the Mitchell MPHS with additional funding from Santos and the MRV Auxiliary Sub Committee. A Local Government may dispose of a valuable non current asset other than by tender or auction if the valuable non current asset is disposed of to a government agency or community organisation. Attached is a list of assets recommended to be transferred to Queensland Health Mitchell MPHS, to facilitate a smooth transition to the new facility for residents and to minimise costs where appropriate. The value of these assets is an estimate only. The list identifies the purchased items by MRC and the purchased items by the MRVA, donated to the MRV. It is recommended that the Chief Executive Officer write to the MRVA thanking them for their support of the MRV and acknowledging the items that were originally purchased by the MRVA for transfer to the Mitchell MPHS to facilitate meeting resident’s needs. Name of Applicant: Roma Show Society Inc.
On Thursday 10, Friday 11 and Saturday 12 May 2013, the Roma Show Society will host the Annual Roma Show. The Roma Show Society is seeking in-kind assistance from Council and a reduction of hire fees for facilities at Bassett Park. b) $2,000 as per the Society’s request. If Council provides this reduction in fees as per the request, as they have done in previous years, it is recommended that the 2013/14 Fees and Charges register be amended to reflect $2,000 or similar as the fee charged to the Society for the 2014 Roma Show. The Roma Show Society is hosting the Annual Show on 9 -11 May 2013 and has submitted a request to Council for in-kind support for the event. A copy of correspondence from the Roma Show Society is attached. The Roma Show Society made application for ongoing sponsorship for the Roma Show i.e. “To Keep the Show Alive” under the 2009 Round 2 of Council’s Community Grants and Assistance Program. Council approved an ongoing cash sponsorship of $500.00. Approval for ongoing in-kind assistance was subject to the provision of detailed costings to Council. For subsequent shows Council has considered requests for in-kind assistance from the Roma Show Society on a case by case basis. 2. Provide a reduction of $1,000.00 to the Roma Show Bassett Park hire rate of $3,000.00 (excluding GST) as currently prescribed in Council’s Fees and Charges Register and that such a reduction of hire fees shall not exempt the Roma Show Society from payment of applicable bonds and electricity charges. · Consideration be given to a reduction in rental fees for Bassett Park to the cost of $2,000, as per 2012 rental agreement. b) That if this rate is to be further discounted to $2,000 as per the request from the Society, and has been done in previous years, then $2,000 or a similar amount be adopted as the standard rate for the Society in the 2013/14 Fees and Charges Register. Currently the budget allocation for non financial assistance has sufficient funds available to accommodate this request. Council have received a request to provide a bitumen seal to Woodburn Road in front of the “Ardlui” homestead. That, Council considers the inclusion of this project in future budget deliberations. 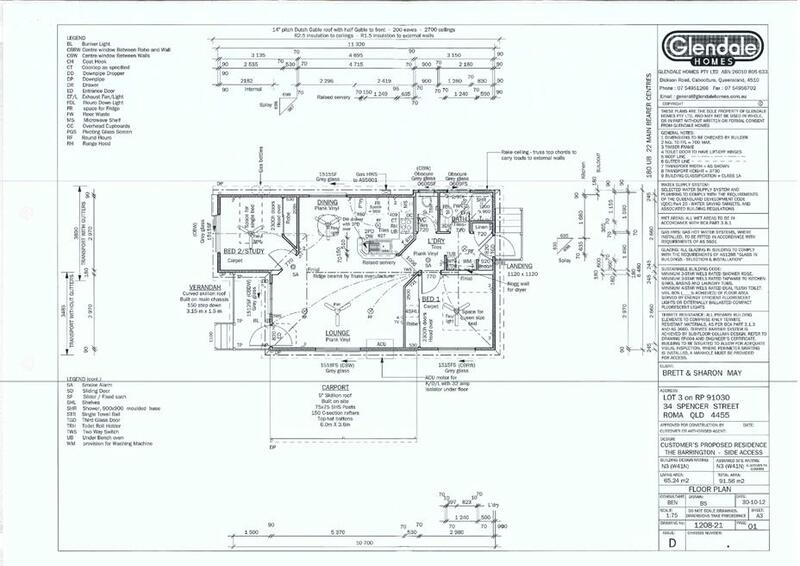 Council has received correspondence from Philip and Gaylene Stanford requesting a dust seal in front of “Ardlui” homestead at 2432 Woodburn Road. The correspondents have identified a dust problem due to the amount of traffic on this road. The relevant sections of Woodburn Road have a 5 metre wide pavement on an 8 metre wide formation. Sealing the full width of the existing pavement removes the need for shoulder grading and the associated maintenance costs. The application of a two coat seal increases the life of the surface and provides a residual for future resealing. The sections nominated for sealing are more than 10 kilometres from the nearest existing sealed section, which potentially may result in increased costs for establishment for sealing / resealing contractors. This calculation is based on providing a sealed surface to the existing pavement without any additional works to bring the road to the standard required according to its current classification. 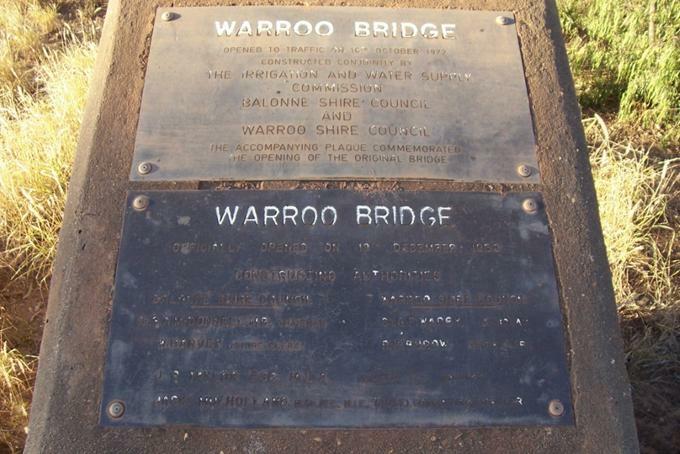 The Warroo Bridge on Roma-Southern Road was constructed in 1972 as a joint project between the (then) Irrigation and Water Supply Commission, Balonne Shire Council and the former Warroo Shire Council. There is no record of a formal agreement being entered into for the ongoing management of this infrastructure. b. Partly in each of the area. (2) The cost of planning, constructing, maintaining and managing the road or other work is the joint responsibility of each of those local governments. (3) The local governments must enter into the arrangements that are necessary to perform that responsibility. 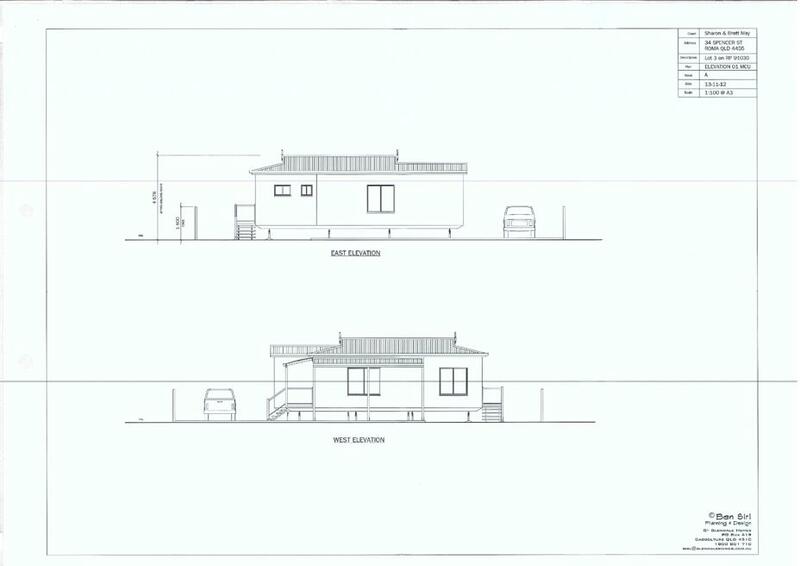 Executive Summary: The application seeks a Development Permit for a Material Change of Use for “Accommodation Units” (3 Units) situated at 34 Spencer Street, Roma QLD 4455, described as Lot 3 on RP91030. 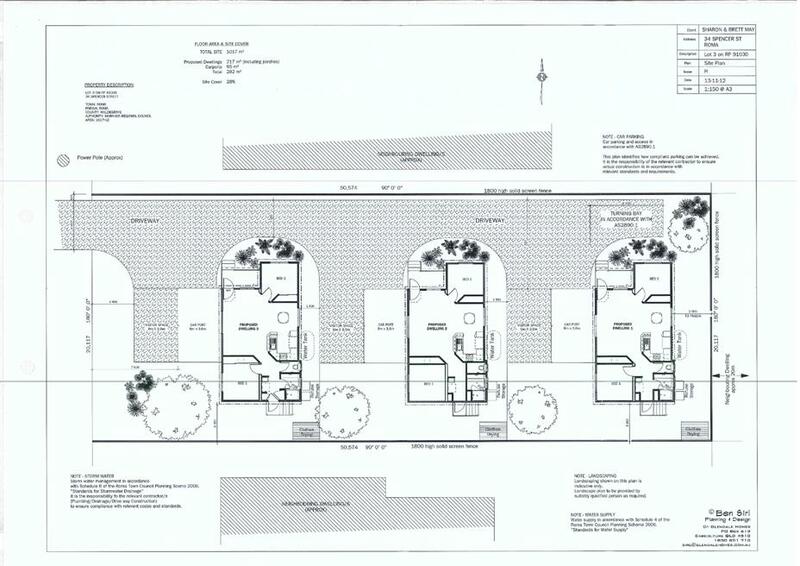 The application seeks approval for a material change of use to establish “Accommodation units” at 34 Spencer Street, Roma, described as Lot 3 on RP91030. 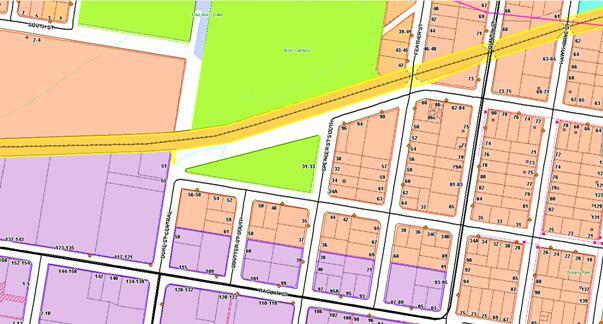 The site is located within the Residential Zone and comprises an area of 1017m2. The site has a single frontage to Spencer Street. Adjoining the site to the north is a multi-unit development comprising three units. The adjoining lots to the east and south of the site are occupied by single detached dwellings. The site is currently occupied by a single storey dwelling which will be removed to facilitate the development. The development comprises three detached units each containing two bedrooms, a single bathroom and open plan living area. Each of the units will be provided with a single carport and visitor parking space, which will provide a total of six car parking spaces within the development site. The gross floor area of the development is 282m2, equating to 28% site coverage. The application is subject to Impact Assessment against the relevant provisions of the planning scheme. Public Notification was carried out from 5 March 2013 to 26 March 2013. No submissions were received during this period. The proposal is for residential development within the Residential Zone and will not compromise the location of business and commercial development with the Commercial Zone and CBD. The proposal is for residential development and is not situated in proximity to the Town CBD. The proposed use will not adversely impact on the efficiency, attractions or vitality of the commercial area. The development site is located within an established residential area with infrastructure and services provided. The development site is not located in proximity to major water cycle or electricity infrastructure. The development is for a residential use on a local access street and is set back approximately 100 metres from a railway corridor. The development will not encroach on any established infrastructure networks. The development requires a reduction of the rear boundary setback to three metres. The reduced setback will maintain sufficient separation from adjoining properties and will not impact on the streetscape. The existing dwelling on the property adjoining the site to the rear, is setback approximately 20 metres from this common boundary. The proposal is for a residential use within the Residential Zone. The development is consistent with the existing uses in the locality and will not have an adverse impact on noise levels, traffic volume, lighting levels or local amenity in the town. The development is limited to a single storey in height and will be constructed with building materials that are consistent with the local character. The proposal is low density (28% site cover) and will incorporate screen fencing and landscaping along site boundaries to ensure the residential character and amenity of both the streetscape and the wider Urban Area is retained. The development is consistent with the intent of the residential area within which it is proposed and will not adversely impact on the safety and convenience of cyclist or pedestrian movements in the locality. Conditions of approval will require the provision of vehicle manoeuvring areas within the site, to ensure vehicles can exit in a forward direction for improved visibility and safety. The site is located approximately 100 metres from an existing rail corridor to the north. Potential adverse noise impacts from the rail corridor are considered to be minimal as the site is appropriately setback from the route which is infrequently used for freight transport. The site obtains access via a local access street which is designed to cater for residential land uses. The proposed use will not adversely impact on road and rail corridors. The proposed development is located within an established residential area that has access to infrastructure and services to facilitate the proposed use. Vehicle access to the development site will be obtained via a new driveway crossover to Spencer Street. The development incorporates provision for six onsite car parking spaces which is compliant with the minimum requirements for Accommodation Units and considered adequate for the proposed use. The site is located in proximity to an existing rail corridor to the north, however potential adverse noise impacts to the proposed development are considered to be minimal, as the site is set back approximately 100 metres from the railway line, and the corridor is an infrequently used freight route. Not Applicable - The development proposal does not involve excavation or filling. During construction, soil erosion and sediment will be managed in accordance with Schedule 7: “Standards for Construction Activity” and the CMDG Design Guidelines. The proposed development is limited to a single storey and 4.6 metres in height, consistent with the local character. The development has a total site coverage of 282m2, equating to 28% site coverage. The development is sensitive to the local character and amenity in this respect. The proposed development is setback 7 metres from the front property boundary and a minimum of 3 metres from the side boundaries. A relaxation of the minimum setback requirements is sought to provide a 3 metre setback to the rear boundary. A reduction of the rear boundary setback will not compromise the local amenity or streetscape. The existing dwelling adjoining the site to the rear is situated approximately 20 metres from the rear boundary. The development is low density and will incorporate landscaping and fencing along the side and rear boundaries to provide screening and enhance residential amenity. The small scale of the development allows sufficient private open space for residents and will maintain the residential character and amenity in terms of building bulk. The proposed buildings are designed and sited to achieve adequate ventilation and natural lighting. The building siting allows adequate separation and open space between the units and from the site boundaries. Screen fencing will be provided along the side and rear boundaries of the site to provide privacy for residents. Conditions of approval will require a landscaping plan to be submitted to Council for approval. Landscaping will comprise a mix of trees, shrubs and groundcovers. The development includes the establishment of two double carports located between the residences. The carports comply with the minimum boundary setbacks and will not be visible from the street frontage. The proposed outbuildings will not impact on the residential amenity of the locality. Although the planning scheme requires the proposed development to be assessed against the Impact Assessable provisions of the scheme, the development does not conflict with the intent of the Residential Zone within which it is proposed to be located. The development will contribute to the range of housing available in Roma whilst remaining sensitive to the local character and amenity through a building design, materials, scale and density that is sensitive to the local area. 4. 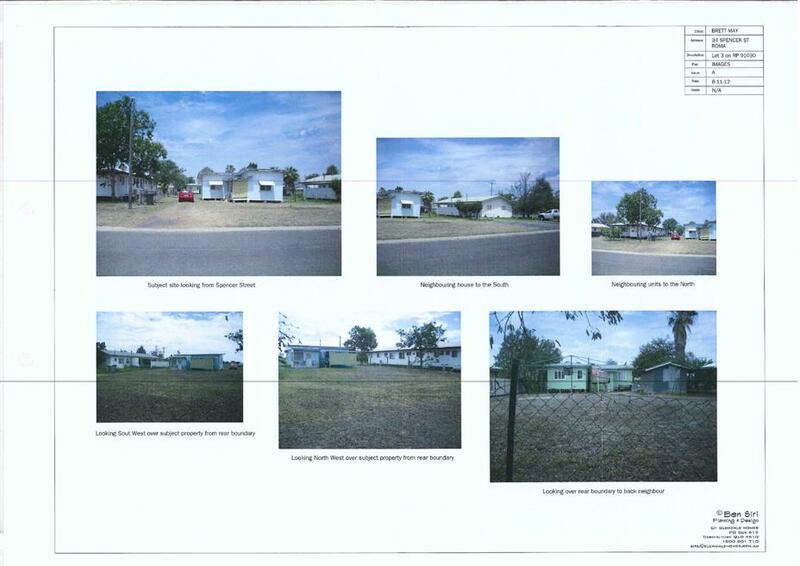 Development Approval 2012/18407 for a Material Change of Use - “Accommodation Units” situated at 34 Spencer Street, Roma Qld 4455, and described as Lot 3 on RP91030. $24,000.00 is payable as infrastructure charges. 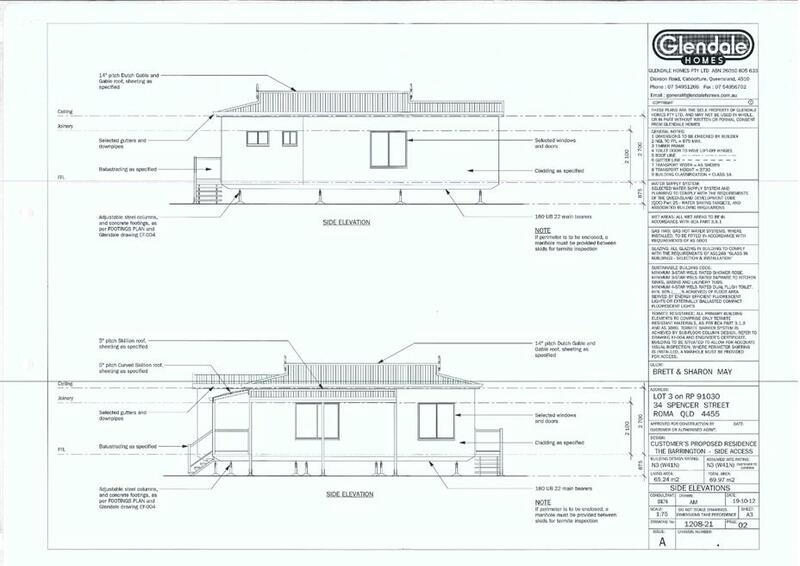 This charge is levied in respect of a Development Approval for a Material Change of Use - “Accommodation Units” situated at 34 Spencer Street, Roma Qld 4455, and described as Lot 3 on RP91030. Executive Summary: This is a request to change the development approval given by Council on 8 August 2012 for a Development Permit for a Material Change of Use for “Extractive Industry” and “Industry” (Medium Impact Industry) and ERA 8(3a) Chemical Storage, ERA 16(2b)(3a) Extractive and Screening Activities and ERA 21 Motor Vehicle Workshop Operation and Reconfiguring a Lot (lease with a term exceeding 10 years) on land at Swans Road, Wallumbilla QLD 4428 and described as Lot 2 on SP186195. The applicant asks for an extension of the period in which East Street can be used for the haulage of quarry material while an alternative haul route is constructed. 1. The applicant or the Council to ask the local community if it will not object to the proposed use of East Street for another five months (one month has already elapsed) by trucks carrying quarry material from the Ostwald Bros quarry on Swan Road. The proposed changes to the development conditions will allow the quarry to continue operating while a new access route is constructed. This is important in keeping quarry material available for road and other projects in the area. The residents of Wallumbilla will continue to be disrupted by additional traffic along East Street for a further six months. During any consultation process, the community may also seek further information on the potential heavy vehicle bypass options to the north as well as the east of Wallumbilla. As Council has not yet been presented with any proposals for potential heavy vehicle bypass options to the north, any views expressed on a northern bypass will have to be clearly identified as future considerations for the Council and not any form of Council policy at this time. Any community consultation process make it clear to the community that the use of East Street will not be permitted under any circumstances if the applicant is successful in the proposal to increase the quarry’s capacity to 1 million tonnes per annum. Any conditions imposed will be at the cost of the developer. Any consultation process also needs to be funded by the developer. The developer will be required to give Council an indemnity for any costs it incurs associated with this request for a change to an existing approval. On 8 August 2012, Council approved a development application for "Extractive lndustry" and "lndustry" (Medium lmpact lndustry), being a quarry for the extraction of white rock material. The proposed development includes ERA 8(3a) Chemical Storage, ERA 16(2b)(3a) Extractive and Screening Activities and ERA 21 Motor Vehicle Workshop Operation. The development application also included a Reconfiguring a Lot to establish a lease area within which to conduct the proposed operations, with a term exceeding 10 years. The development is located within a lease area at the north-eastern corner of the original lot. The lease area has an area of 17.26 hectares and frontage to Swans Road of approximately 508 metres. The lease area has been located so that the regrowth vegetation, protected area and medium bushfire hazard areas mapped on the original lot are not contained within the boundaries of the lease area. The approved development consists of three material stockpile and truck loading areas, a vehicle workshop and ancillary site office, amenities and lunch room buildings. Provision has been made for storage of 38,800 litres of diesel fuel on the site, being ERA 8(3a) Chemical Storage. The vehicle workshop constitutes an ERA 21 Motor Vehicle Workshop Operation. The extracting and screening of white rock material is not to exceed 100,000 tonnes of material per annum, and constitutes ERA 16(2b)(3a) Extractive and Screening Activities. Motor vehicle access to the site is obtained from two crossovers, one ingress and one egress, from Swans Road to the north of the site. Conditions of approval restrict haulage from the site to the hours of 6.00am and 6.00pm when travelling within two (2) kilometres of town areas. Nuisance resulting from dust, light and noise is mitigated through site management plans and the conditions of development for Environmentally Relevant Activities. lt was considered that these measures, in conjunction with the recommended conditions of approval, will sufficiently mitigate the adverse impacts of the development on the rural residential estate to the north of the site to allow 24 hour operation of on-site activities. The Department of Transport and Main Roads (DTMR) and Department of Environment and Resource Management (DERM) were Concurrence Agencies for the development. DTMR and DERM imposed conditions of development approval for the proposed use, attached in Appendices 2 and 3. 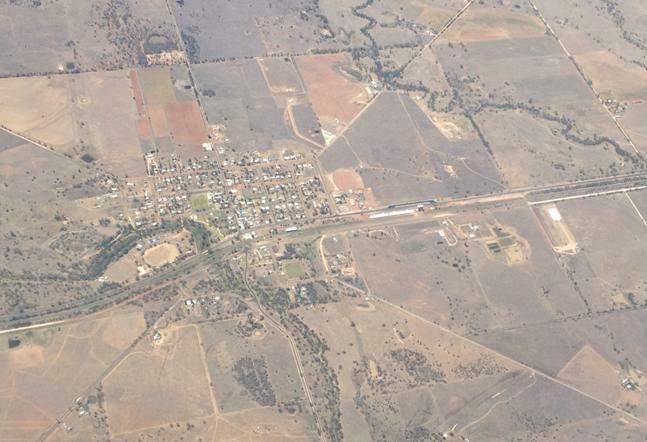 The Maranoa Regional Council operates a quarry on the land adjoining the Ostwald Bros quarry. Material from the Council quarry is only used for public infrastructure purposes. Although Council trucks occasionally use East Street, according to the Council officers managing the quarry, most material is transported to the north. The Ostwald Bros quarry development was permitted to operate for a period of 6 months because it considered that the proposed development will not adversely impact the residents of Wallumbilla if limited to a period of six months only. The quarry operators have applied for an extension to this period while an application for an increased volume is processed and considered by Council. The new application is for 1 million tonnes per annum. The expansion of the quarry's annual capacity will be beneficial economically the construction of roads and for other development within the Council area. 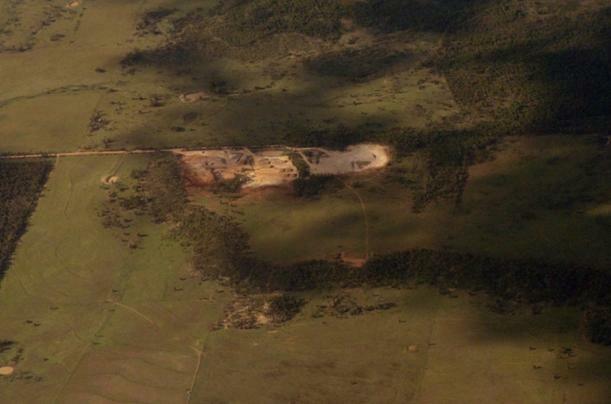 The expansion of the quarry is supported by the Queensland Government. In discussions with the Ostwald Bros representatives about the new application, Council officers stated that any proposal that involved the use of East Street, Wallumbilla would be refused. Even if a road safety report showed that it would be safe to use this route, it would still be refused because of the adverse amenity impacts on the Wallumbilla residents. This was not negotiable. In response, the applicants have agreed that a new route will be used that does not pass through the town area. A letter of commitment was received from the company that stated that an alternative access route would be found for the vehicles hauling material to and from the Wells Pit quarry. In return, Council officers have spent considerable time working with Ostwald Bros representatives and other developers and state agencies in identifying alternative, practical routes. There are two routes now on the short list. As the new development application is impact assessable and will take some months to determine, the company sought an extension of the time that East Street can be used. A request to change an existing approval was lodged on 29 January 2013, which is within the correct time for such a request to be made. There is some ambiguity about the lawful date of commencement. The lawful period for the expiry if the original condition is 6 months after the expiry of the submitters’ appeal period. Allowing for normal processing times, this has been deemed to be March 15. The request does not seek to increase quantities or any other aspects of the approval. It only asks that the time for using East Street be extended. On 16 November 2012 the Council received the application for the increase to 1 million tonnes in the quantity to be extracted annually. lt will take at least 6 months for a decision to be made, possibly longer if there are any applicant or submitter appeals. 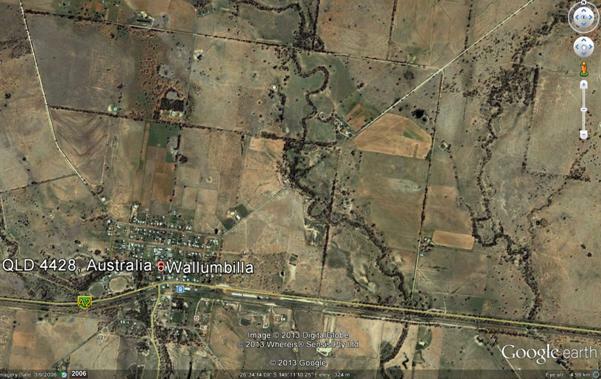 Council officers are aware of the impacts on Wallumbilla residents from heavy vehicle movements though the town. The maximum extension that Council officers believe that they could recommend is a further six months from the date of Council approval of the request to change the existing approval. During that period, Ostwald Bros need to finalise and construct an alternative route. However, the conditions of the approval should be recast so that the existing approval does not cease if the alternative route is not established within six months. The approval should be modified so that the quarry can operate but East Street cannot be used. Under the existing approval, the extracting and screening of white rock material is for a maximum of 100,000 tonnes of material per annum. 2. There is an imperative for Ostwald Bros to finalise and construct the new route as quickly as possible. The residents of Wallumbilla will continue to experience the impacts from additional heavy vehicles for a further 5 months (one month has already elapsed). Council officers in conjunction with Ostwald Bros representatives have identified four potential road routes. This has now been narrowed to two routes. One potential route is through proposed industrial subdivisions to the east of the township. The other route is further east on the other side of the reserve where the refuse disposal area is located. Both routes have been referred to the Department of Transport and Main Roads for its consideration and both are potentially acceptable. The road routes have also been reviewed in the broader context of long term alternative routes for diverting all heavy vehicles out of Wallumbilla. Council officers had hoped to have the final alternative route settled for inclusion in this report. Being able to state to the community the precise location of the new route would have been more reassuring to those most affected by the additional heavy vehicles from the quarry. It appears to be close but Council officers could not further delay asking Council’s permission for the continued use of East Street. If Council refuses the request, the applicant has appeal rights to the Planning and Environment Court. As the Queensland Government is taking an active interest in the quarry’s continued operations because of the roads upgrading program, flood works and the mining, oil and gas industry, the Minister administering the planning legislation could step in an override a Council refusal. This has not been suggested by any party, but it is always a possibility. The relevant sections of the Sustainable Planning Act 2009 dealing with changes to existing approvals are mainly located in Division 2 of Part 8 (Dealing with decision notices and approvals) of Chapter 6 which in turn covers the Integrated Development Assessment System (IDAS). The applicable version of the Sustainable Planning Act 2009 is Reprint 2B, effective 22 November 2012. This has since been replaced by a later reprint with amendments up to 1 February 2013. For the Council to consider a request to change an existing approval, the applicant must give the request to Council as the assessment manager and give copies to any concurrence agencies for their consideration. Copies were sent to the Department of Transport and Main Roads (DTMR) and Department of Environment and Heritage Protection (DEHP) as concurrence agencies for the development. DTMR and DEHP had both imposed conditions on the original development approval for the proposed use. As the continued use of East Street for another 6 months does not affect the original conditions set by these concurrence agencies, neither agency has expressed any objection to the proposed changes. DTMR has been closely involved in helping to resolve the alternative access route. DEHP is aware of the development application to expand the quarry permit to 1 million tonnes per annum. For Council to agree with any request to make a change to a development approval, the change must be a ‘permissible change’. Section 367 of Sustainable Planning Act 2009 which sets out what are permissible changes to development applications under the Sustainable Planning Act 2009. (d) cause development to which the approval relates to include any prohibited development. (2) For deciding whether a change is a permissible change under subsection (1)(b) or (d), the planning instruments or law in force at the time the request for the change was made apply (the applicable law). The development and the route are the same, only the period for the use of East Street has changed. This does not constitute a substantially different development. There are no new referral agencies nor is there any change in the level of assessment. There is no prohibited development associated with the changes. On the basis of these assessments, the proposed changes do not conform with the requirements of section 367 of the Sustainable Planning Act 2009 related to permissible changes because of non-compliance with section 367(1)(c). 1. The applicant or the Council to ask the local community if it will not object to the proposed use of East Street for another five months (one month has already elapsed). If the community does not object, then the permissible change could be allowed. If the local community will be asked to not object to the following proposed changes to the conditions or to some other variations that are acceptable to the local community, there will need to be a suitable form of consultation process that makes the information available to all local community members and gives them the opportunity to respond to the proposed change. This process will need to be funded by the applicant. The applicant will be required to give the Council an indemnity for all the costs associated with this option. It needs to be made clear to the community that the use of East Street will not be permitted under any circumstances if the applicant is successful in the proposal to increase the quarry’s capacity to 1 million tonnes per annum. The applicant will have the right to appeal the decision to the Planning and Environment Court. The appeal is unlikely to succeed. There could be problems in the supply of quarry materials for local construction work, including roads. 1. The applicant or the Council to ask the local community if it will not object to the proposed use of East Street for another five months (one month has already elapsed). 2. If the community does not object, then the permissible change be allowed. The approved uses are limited to an operating time of six months from the commencement of the first use. The approved uses are limited to using East Street for the transport of Quarry material for 12 months from the commencement of the first lawful use. All traffic generated by the development is to access the Warrego Highway via Swans Road and East Street. All traffic generated by the development is to access the Warrego Highway via Swans Road and East Street for a maximum period of 12 months from the first commencement of lawful use. After that period, all traffic is required to use an alternative route and road standard that has been approved by the Council and the Department of Transport and Main Roads. The developer must ensure that the nominated route is maintained throughout the duration of the six months to a “No worsening” standard as maintained by pre and post activity inspections and, regular joint inspections conducted by the developer and Maranoa Regional Council staff. All costs are to be borne by the developer. The developer must ensure that the nominated route is maintained throughout the duration of the first 12 months to a “No worsening” standard as maintained by pre and post activity inspections and, regular joint inspections conducted by the developer and Maranoa Regional Council staff. After the first 12 months, when the alternative access route is to be used, the developer will be responsible for maintaining the new route at the same “No worsening” standard. All costs are to be borne by the developer. b). the vehicle must be cleaned so that all contaminated / reproductive material is removed. 1. Numerous wash down (clean down) facilities are available within the shire to help remove weed seeds, soil and other foreign matter from vehicles and machines. 6. There must be no increases in any silt loads or contaminants in any overland flow from the property being developed during the development process and after the development has been completed. 8. If there is a possibility of erosion or silt or other materials being washed off the property being developed during the development process, the developer must document and implement a management plan that prevents this from occurring. 9. During the establishment of the approved development, no nuisance is to be caused to adjoining properties and occupiers by the way of smoke, dust, rubbish, contaminant, stormwater discharge or siltation at any time, including non-working hours. 10. The landowner shall be responsible for construction and maintenance of vehicle crossovers from the road carriageway to the property boundary and for obtaining any approvals that may be required and for complying with the applicable designs and standards. 11. Any damage to roads and infrastructure that is attributable to the progress of works on the site or vehicles associated with the development of the site, must be repaired to Council’s satisfaction or the cost of repairs paid to Council. 12. All rates and charges of any description and all arrears of such rates and charges, together with interest outstanding thereon, on the land, due to Council, shall be paid prior to the Council sealing the Plan of Survey. 13. All development approval conditions related to the establishment of the approved development must be fulfilled prior to any Plans of Survey being sealed. 14. The developer is responsible for meeting all costs associated with the approved development unless there is specific agreement by other parties, including the Council, to meeting those costs. 15. Services and infrastructure required in connection with the establishment of the approved development must be provided at no cost to Council. 16. All costs associated with the approved development to be met by the developer include all costs of survey, easement preparation, document lodgement, plan sealing and land transfers. 17. Any conflicts associated with proposed and existing services shall be forwarded by the developer to the appropriate controlling authority for approval for any proposed changes. 19. Complete and maintain the approved development as follows: (i) in accordance with development approval documents and (ii) strictly in accordance with those parts of the approved development which have been specified in detail by the Council or Referral Agency unless the Council or Referral Agency agrees in writing that those parts will be adequately complied with by amended specifications. 20. Complete and maintain all operational, building and plumbing and drainage work associated with this development approval, including work required by any of the development approval conditions. 22. The approved uses are limited to an operating time of six months from the commencement of the first use. 23. All development approval conditions related to the establishment of the approved development must be fulfilled prior to any approved use commencing. 24. All necessary utilities and services must be connected and operational prior to the commencement of the approved use and maintained in good order after the use commences. 25. All approved uses must be carried out in accordance with the requirements of the approved Site Based Management Plan, prepared by FSA Consulting, and dated 16 December 2011. 26. The extraction of material is to occur within discrete areas of the site. The developer is to provide Council with plans identifying the location and boundaries of extraction pits prior to commencement of the use and on an annual basis thereafter. 27. Rehabilitation is to be carried out on pits that cease to be used for extraction, as determined by Council, in accordance with the recommendations in Section 4.7.6.2.5 of the approved Site Based Management Plan, prepared by FSA Consulting. 28. The developer/quarry operator must supply to Council a Cadastral Survey Plan defining the extent of the quarry operations including the distance from all property boundaries as shown on the approved site plan, within two months of the approved uses commencing. 29. The boundaries and the extent of quarry operations must be clearly visible, identified and marked at all times in a manner that allows operational staff and site contractors to clearly identify the limits of the extraction area. 30. No extraction of material is to occur outside of Lease Area A (SP250334) as shown on the approved site plan. 31. The volume of material extracted from the site must not exceed 100,000 tonnes per annum. 32. Haulage of material from the site must not occur outside the hours of 6.00am to 6.00pm when travelling within two (2) kilometres of town areas. 33. The hours of operation for processing, extraction and other operations must be in accordance with the Environmental Protection Act 1994. 34. On closure of the quarry operations and prior to rehabilitation of the premises the landowner/quarry operator must supply to Council a Cadastral Survey Plan defining the extent of the quarry operations including the distance from all property boundaries, within two months of closure. 35. The loading of quarry material extracted from the site and the loading and unloading of plant and associated materials must be contained wholly within Lease Area A. 36. Vehicle access and egress from Swans Road is to be sealed with a 2 coat bitumen seal extending 50 metres within the property boundary from the pavement on Swans Road. 37. The developer/quarry operator shall submit to Council and implement a Pest Management Plan (noxious weeds) to control all declared weeds on the premises, prior to commencement of the approved uses. 38. The developer must pay a haulage contribution charge (at a rate of $0.20 per tonne of material extracted from the premises over and above a 5000t per annum) in accordance with Maranoa Regional Council’s Fees and Charges as adopted for the 2012/2013 financial year. Contribution amounts are to be paid to Maranoa Regional Council on an annual basis, with the first payment due 12 months from the date of commencement of the use. Payments made to Council for this development will be subject to annual rate increases in accordance with the Haulage Contribution charges for the financial year the material was extracted. 39. The developer is to notify Council upon commencement of the approved uses. 40. Stormwater must not be allowed to pond on the lease area being developed during the development process and after development has been completed unless the type and size of ponding has been agreed in writing by the Council or as a specific development approval condition. 41. The stormwater drainage shall be designed such that no ponding of stormwater within upstream properties occurs as a result of the development. 42. Any increases in volume, concentration or velocity of stormwater from the lease area being developed must be channelled to lawful points of discharge or to other storage or dispersal arrangements which must all be agreed in writing by the Council. 43. There must be no increases in any silt loads or contaminants in any overland flow from the lease area being developed during the development process and after development has been completed. 44. The stormwater disposal system must be designed to include appropriate pollution control devices or methods to ensure no contamination or silting of creeks or other waterways. 45. Soil erosion and sediment is controlled in accordance with Schedule 6: “Standards for Stormwater Drainage”. 46. On-site erosion is to be managed in accordance with the recommendations of the Site Based Management Plan, prepared by FSA Consulting, dated 16 December 2011. 47. During construction, soil erosion and sediment is to be managed in accordance with Schedule 7: “Standards for Construction Activity”. 48. The site must be provided with on-site water supply with sufficient capacity to meet operational needs, including watering to minimise dust nuisance. 49. The site must be provided with an on-site sewerage disposal system in accordance with Schedule 5 – “Standards for Sewerage Supply”. 50. The site must be provided with an electricity supply generator adequate to service the site and all approved uses. 51. 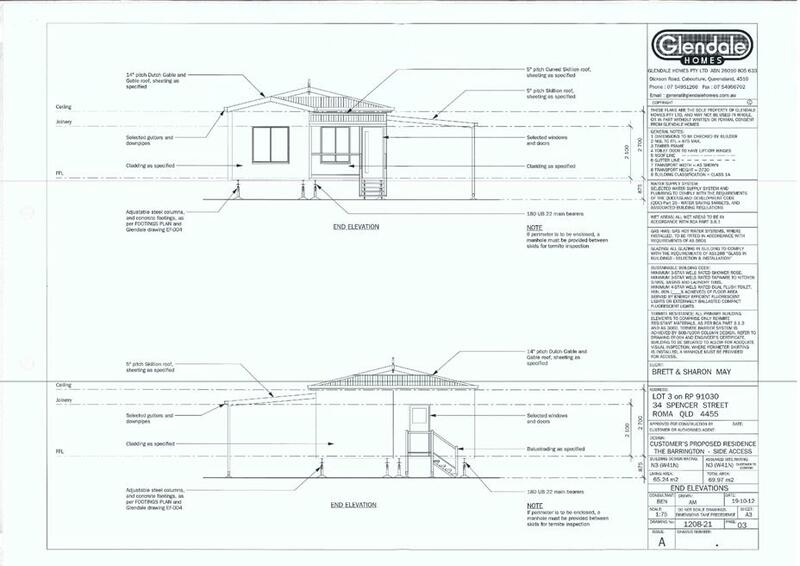 All services installation to the respective networks, must comply with (i) the development approval conditions, (ii) any relevant provisions in the planning scheme for the area, (iii) Council’s standard designs for such work where such designs exist (iv) the CMDG where it applies (v) any relevant Australian Standard that applies to that type of work and (vi) any alternative specifications that Council has agreed to in writing and which the developer must ensure do not conflict with any requirements imposed by any applicable laws and standards. 52. All costs associated with the development works including any necessary alteration, relocation of services, public utility mains or installations must be met by the developer. The developer is responsible for accurately locating all existing services prior to any development works commencing. 54. Vehicle manoeuvring areas must be provided on-site for an Articulated Vehicle so that all vehicles can enter and leave the site in a forward direction. 55. The landowner shall be responsible for construction and maintenance of vehicle crossovers from the road carriageway to the property boundary and for obtaining any approvals that may be required and for complying with the applicable designs and standards. 57. Any damage to roads and infrastructure that is attributable to the progress of works on the site or vehicles associated with the development of the site must be repaired to Council’s satisfaction or the cost of repairs paid to Council. 58. All traffic generated by the development is to access the Warrego Highway via Swans Road and East Street. 59. 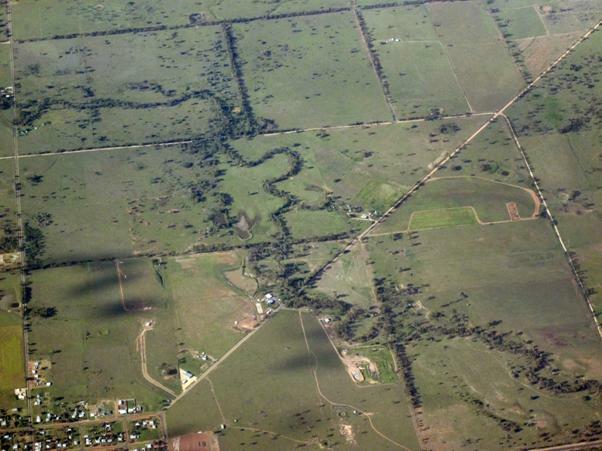 The developer must ensure that the nominated route is maintained throughout the duration of the use (six months) to a “No worsening” standard as maintained by pre and post activity inspections and, regular joint inspections conducted by the developer and Maranoa Regional Council staff. All costs are to be borne by the developer. 60. The applicant shall pay a contribution of $ 25,000.00 towards the increased depreciation of East Street. 61. Vehicle crossovers from Swans Road to the development site are to be constructed in accordance with CMDG Standard Drawing SD-R-040 Rural Road Access and Property Access Over Table Drains (Access along bitumen roads). Vehicle accesses must accommodate the movement of any heavy vehicles accessing the site. The sight distance must comply with a design speed of 80 km/hr and in accordance with Austroads, “Part 5 Guide to Traffic Engineering Practice – Intersections at Grade”. The assumed traffic count range shall be > 300 but < 999 vpd. 62. Advisory warning/speed signs are to be installed to indicate the turning of heavy vehicles in accordance with the Manual of Uniform Traffic Control Devices (MUTCD). 63. All development works that will revert to Council control are subject to a twelve (12) month maintenance period during which time the developer will be responsible for the maintenance of the works, the rectification of any design omissions or defects, and the repairs of any construction defects that are subsequently found. 64. Landscaping is to be provided with a minimum width of five (5) metres adjacent to the Swans Road frontage of the lease area. Landscaping is to have a mature height of at least three (3) metres within five (5) years of planting and must comprise of native species. 65. All landscaping, vehicular access and related items must comply with (i) the development approval conditions, (ii) any relevant provisions in the planning scheme for the area, (iii) Council’s standard designs for such work where such designs exist (iv) Schedule 2: “Standards for Roads, Car Parking, Access and Manoeuvring Areas” (v) any relevant Australian Standard that applies to that type of work and (vi) any alternative specifications that Council has agreed to in writing and which the developer must ensure do not conflict with any requirements imposed by any applicable laws and standards. 66. Lighting of the site, including any security lighting, shall be such that the lighting intensity does not exceed 8.0 lux at a distance of 1.5 metres from the site at any property boundary. 67. All lighting shall be directed or shielded so as to ensure that no glare directly affects nearby properties. 68. During the establishment of the approved development, no nuisance is to be caused to adjoining properties and occupiers by the way of smoke, dust, rubbish, contaminant, stormwater discharge or siltation at any time, including non-working hours. 69. Unsealed service roads are to be watered upon receipt of a complaint regarding dust nuisance caused by vehicle movements to and from the site, as determined by and to the satisfaction of Council. 70. Signage and linemarking to be in accordance with MUTCD requirements and AS/NZS 2890.2:2004 - Parking facilities Part 2: Off-street commercial vehicle facilities. 71. Signage must be erected to delineate vehicle manoeuvring pathways on site. 72. The developer is responsible for meeting all costs associated with the approved development unless there is specific agreement by other parties, including the Council, to meeting those costs. 73. Any conflicts associated with proposed and existing services shall be forwarded by the developer to the appropriate controlling authority for approval for any proposedchanges. 74. All civil and related work shall be designed and supervised by RPEQ Registered Professional Engineers of Queensland (RPEQ) who are competent in the construction of the works.